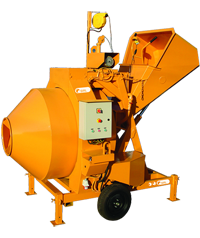 A concrete mixer features a round rotating barrel-like drum with paddles fastened to the inside of the drum. In operation, the drum tips up at an angle and a gasoline engine or electric motor rotates the drum. One end of the drum is open for loading the concrete ingredients and unloading the finished concrete. 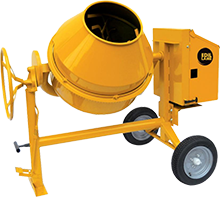 Before buying a mixer, determine whether your job requires a cement mixer or a mortar mixer. 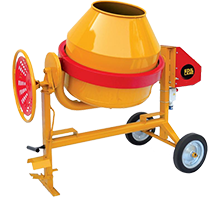 A cement mixer works for mixing cement, which is used for sidewalks or as a base for setting flagstones in an outdoor walk. 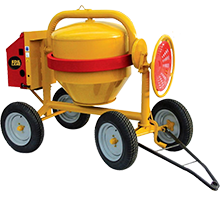 Use a mortar mixer for masonry work. Forty years ago a group of people, driven by a common goal, set up Edil Lame, a craftsman company constructing equipment for the building industry. The main aim at the outset was to produce practical, useful machines for firms working on the Italian market. After conquering the Italian market Edil Lame has succeeded in making a name for itself throughout world markets. Continuous growth enables us to provide customers with quick answers and accurate service, backed by increasingly technical investment, a highly professional approach and enthusiasm in the work we do. A mortar mixer essentially is a stationary horizontal trough inside of which is a motor-driven horizontal shaft with attached paddles that perform the mixing operation. The mixing paddles are powered by an electric motor. 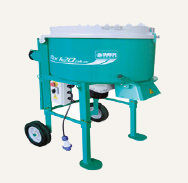 Perfect Machinery keeps various sizes of Mortar Mixers right from 60ltrs to 750ltrs. Generator, Construction Machinery Available on Daily, Weekly, Monthly..
We stock Generator, Construction Machinery spare parts..